VACASA, Vacation Rentals Made Easy – Columbia Gorge Wind & Water Assoc. Did you know that one of the CGWA’s business members employs 15 people here in the Gorge, has business operations in 13 states as well as in Europe and Central and South America, and has been owned and operated in Oregon since 2009? More importantly, their growing business is all about providing accommodations in some of the most beautiful places in the world. Thankfully, the Gorge is one of those places. 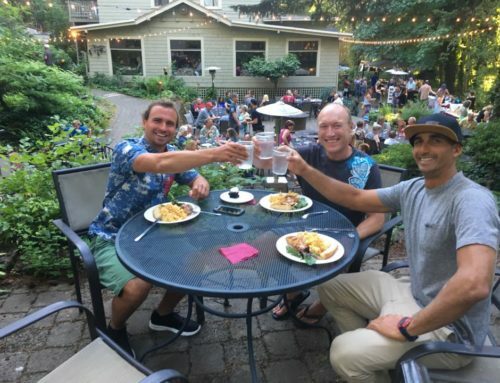 Vacasa manages destination vacation rentals and is a member of the CGWA because in their view, windsurfing is “the foundation part of the history” of the Gorge sports scene and is still completely connected to the communities on both sides of the river. Mary Creighton is the business development and operations manager for Vacasa here in the Gorge area and lives in White Salmon, and you will probably get a chance to meet her at the Beach Bash in June as they will have a booth there, but before then you should visit their website to see what they offer. Whether you need a house to rent here in the Gorge, at the Oregon Coast, or in Belize, Mexico, Spain or Chile, Vacasa has something for you. CGWA members can get discounts at many of their destinations (though not on every property) check out this link for more details, https://vacasarentals.com/deals/5-Percent-Off and don’t forget to inquire about 7 day stay discounts too. Once again CGWA membership has its benefits when you do some travelling. Vacasa rentals can be booked online or over the phone, Mary told me that right now it’s about 50/50, phone calls are welcomed if you have specific questions or needs when you are booking a place to stay. Because Vacasa has local staffs in all of their locations, they can also help with learning the ins and outs of each of their destinations, so you can get the most fun out of your precious vacation time. “The Northwest loves the outdoors, and we specialize in destinations for the outdoor enthusiast, that’s why Vacasa started here in Oregon” Mary says, but their business is reaching out to people seeking out new adventures, so if you have travel plans to the Gorge or to any of their many destinations, look them up at www.vacasa.com and pull out your CGWA membership card when you do, because I see some travel in your future. As a board member of the CGWA its nice to feature one of the many business who generously support us, and it was a real pleasure to speak with people who truly understand what it means to be a big business with local connections. Vacasa is involved with many local groups here and supports the local communities they serve, so I encourage you to check them out. After all the rain this winter, I’m leaning towards Spain myself.